In this workshop, ABOG Fellow Stephanie Dinkins asks, “What Does AI need from you?” She explores how algorithms — decision-making procedures that computers use — create identity groups, privileging some and discriminating against others, particularly communities of color. Workshop participants will collaboratively envision how algorithms and artificial intelligence (AI) will impact their lives in the future, and how the development of these technologies can be more ethically pursued in the present. A conversation follows between Dinkins and Marcus Ellington, Head of Industry for Media and Entertainment at Google, where his team oversees Google and YouTube’s cable television and advertising business. Stephanie Dinkins is an artist interested in creating platforms for ongoing dialog about artificial intelligence as it intersects race, gender, aging and our future histories. She is particularly driven to work with communities of color to develop deep-rooted AI literacy and co-create more culturally inclusive equitable artificial intelligence. 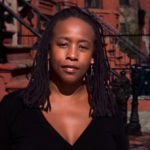 Dinkins holds an MFA from the Maryland Institute College of Art. She is also an alumna of the International Center of Photography and the Independent Studies Program of the Whitney Museum of American Art. Marcus Ellington is the Head of Industry for Media and Entertainment at Google, where his team oversees Google and YouTube’s cable television advertising business. He has been in digital advertising for over a decade, helping marketers use digital solutions to tell brand stories, reach consumers and drive results. He began his career at CBS Television Stations in digital sales marketing where he developed campaigns for CBS on-air franchises such as March Madness, the Grammys, and US Open Tennis. 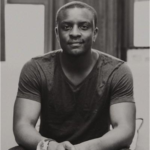 Marcus then worked at Radio One as Director of Ad Sales for Interactive One, where he focused on helping brands reach multicultural consumers. Marcus is passionate about new emerging trends in media and technology and loves to work with partners that have this same drive to push the boundaries and try new innovative approaches. He holds a BA in communications from Temple University and in 2015 graduated from Duke University’s Google Global Business Academy. Marcus currently serves on the board of The Laundromat Project.